Jon Hamm is ready to get his inner manchild on, signing on to the cast of New Line’s 2018 “grown men play playground games with each other” comedy, Tag. 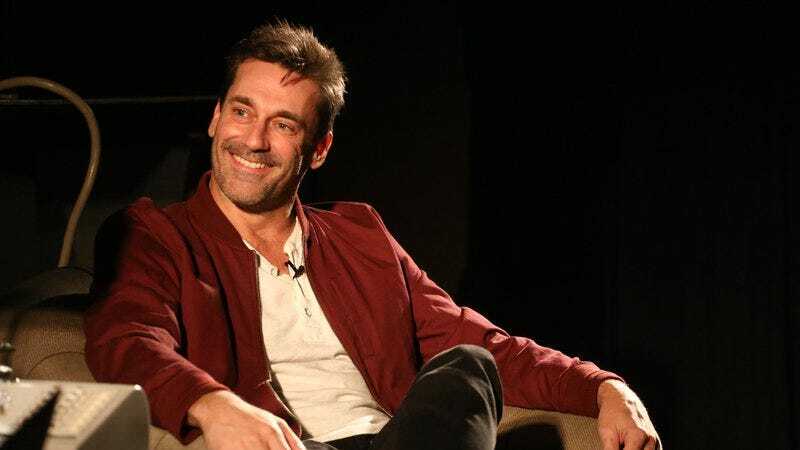 Per The Hollywood Reporter, Hamm joins a cast that includes Jeremy Renner, Ed Helms, Jake Johnson, Hannibal Buress, Annabelle Wallis, and Rashida Jones. The film is based on a Wall Street Journal story from a few years back, which detailed the increasingly elaborate lengths to which a group of friends went to keep a nation-spanning game of Tag going. Hamm will play one of the taggers in question, “an overachiever, both in high school and in life” who nevertheless gets pulled into the nonsense with the rest of his pals.